To maintain our position as one of the largest independent Weber BBQ dealers in the Northwest, May Hardware has a policy of customer service second to none. All of our BBQs are assembled (unless you need it in a box!) and we offer free delivery within McCall and the McCall impact area, and will deliver anywhere in Valley County for a small delivery fee. Our staff is highly trained in the care, operation & repair of Weber BBQs, so you can be assured of care after the sale. 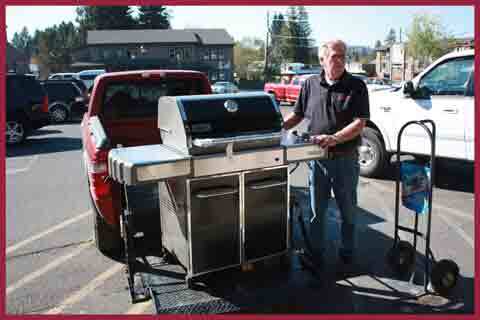 We can help you with any of the rare warranty issues that come up with your May hardware BBQ purchase. Our Weber accessories don't disappear after summer is over. Remember, Weber Barbecuing is fun year round !